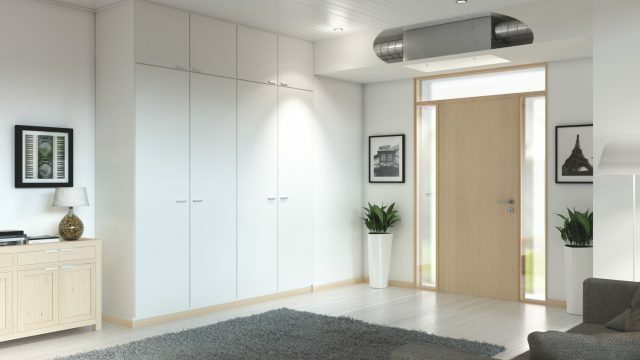 Enervent Alta is designed to be particularly easy to install. Due to its design and low noise level, it doesn’t need its own technical space. Also, the power cord, control panel cable and cooker hood indication cable are brought out of the unit at the factory, there is no need to open the unit when installing it. Installers love it! Enervent Alta is easy to place, not only because its shape, but also because of its low noise level. For this device you do not need a separate technical space or closet. 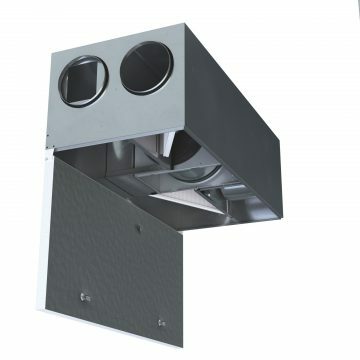 You can install it for example in a false ceiling in the living quarters. Alta is ready to be connected to the cooker hood in the kitchen. 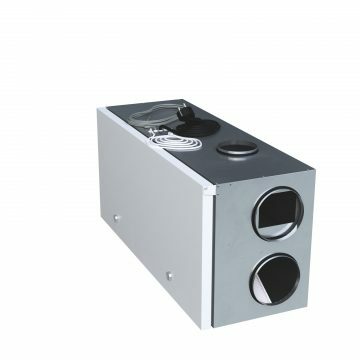 No separate extract air duct is needed and you will save space where it is never enough. You can get acquainted with Enervent’s selection of cooker hoods here. The Alta is available in both left-handed and right-handed duct connection layouts.